“A Car that celebrates Family” with its catchy one liner Maruti Suzuki is presenting a car which is designed keeping family in mind. 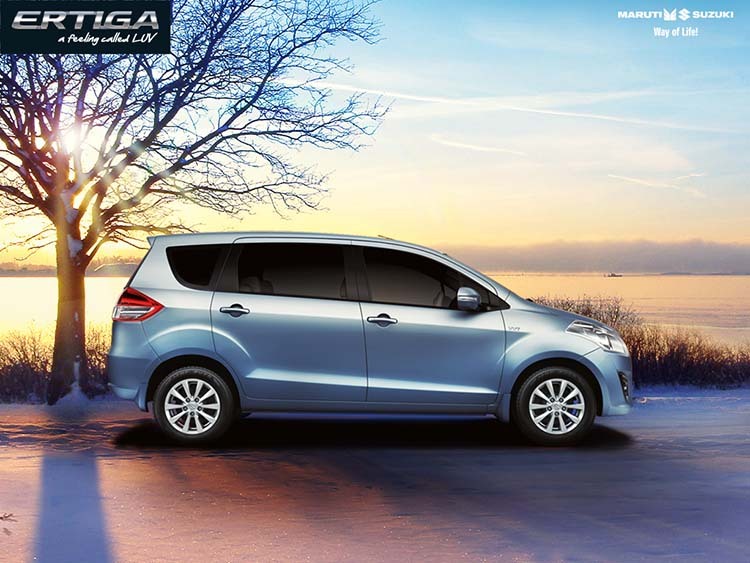 Stylish cluster lamps, aerodynamic styling, in-built fog lamps, alloy wheels are some of the highlights of Maruti Suzuki Ertiga. To quickly talk about the interiors – The car comes with chrome door handlesm Stylish meter cluster, high quality upholstery and 2nd row arm-rest. When it comes to space, full marks for the family focussed design. Stuff you could expect from Maruti Ertiga regarding space : Dashboard cup holder, front and rear door pockets, centre console cup holder, front passenger seatback pocket. Talking about the versatlitly of the car – keeping the seat in mind : All seats are upright, 3rd row seats folded fully flat, 2x2nd row seats + 3rd seat folded, Walk-in mechanism. Other important features of Maruti Ertiga include – 3 Pointer ELR belts, ABS for EBD for controlled braking, optimised strength and weight and airbags. Maruti Suzuki Ertiga is available in 3 different versions: – LXi/LDi , VXi,VDi and ZXi/ZDi which we are going to cover in our upcoming post. 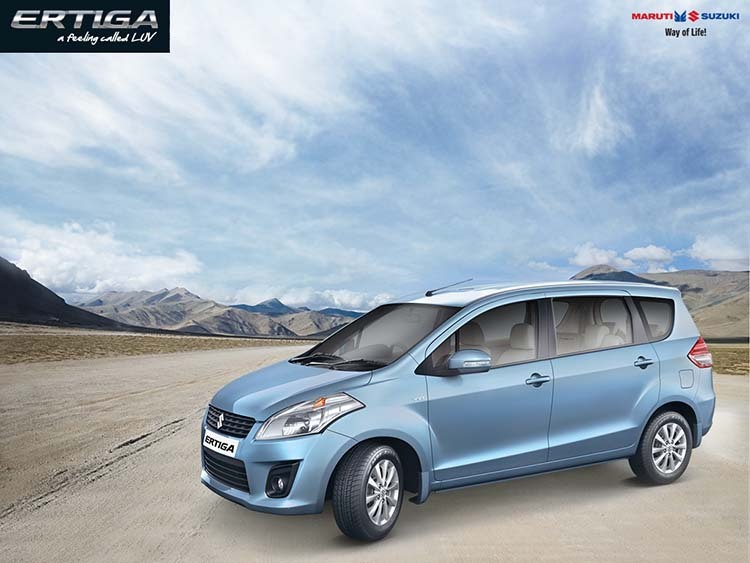 Maruti Suzuki is offering the Ertiga petrol edition with a price tag of 6.76 lakh INR, the diesel variant at 7.34 INR, while the CNG trim is priced at Rs. 8.05 lakh (ex-showroom Delhi).